A “Hundred” is an old and obsolete division of local government. In medieval times, it was a unit of land for tax collecting. Imagine something midway between a parish council and Central Beds council. 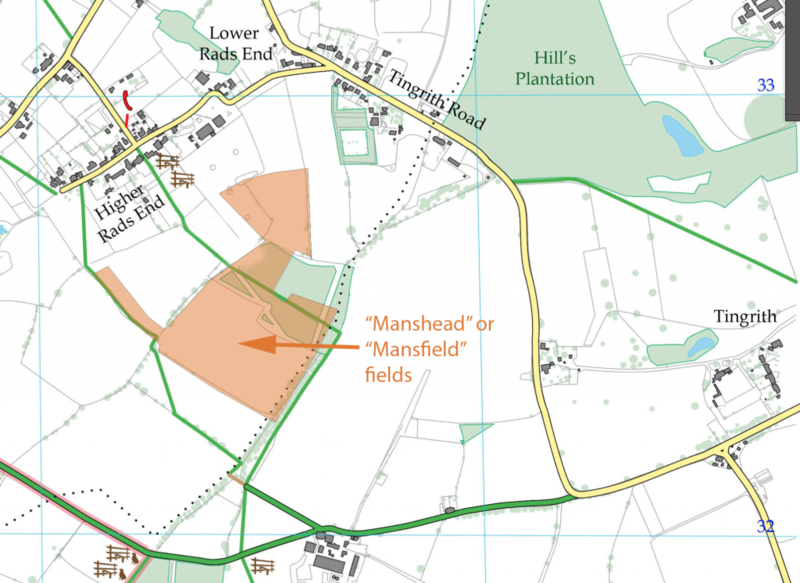 Eversholt lies in Manshead Hundred. G H Fowler hypothesised, in the 1924 edition of the journal of Bedfordshire Historical Record Society (volume 8), that Manshead was named after the main meeting place in the hundred, and that place was in Eversholt. Hundreds used to have courts to decide various lawsuits, and needed somewhere to meet. Apparently these were often open-air places, not buildings, where crowds could gather. V. THE MEETING-PLACE OF MANSHEAD HUNDRED. Hundred were added to it. Here are (approximately) the fields Fowler is referring to. These are all labelled “Manshead” or “Mansfield” on the 1764 map. So, maybe Eversholt was the centre of the universe – or at least the Hundred – for a while.